Contact us for your waste requirements. Why waste money on a skip and spending time loading it yourself? We can offer flexible timescales that work around you, even weekends and evenings if needed. We can offer disposal of single items to multiple van loads. From old junk that’s built up over time to garden and green waste. What will happen to your waste? All waste is transported to a Waste Transfer station for sorting and recycling. Transfer notes will be issued to you once the waste is loaded showing where your waste is going. Skips require a permit to be sited on the street outside your house. This will cost you more on top. Have you ever thrown waste into a skip that wasn’t yours? Or had the same down to you? VERY ANNOYING. Your skip can soon fill up with waste that isn’t yours! 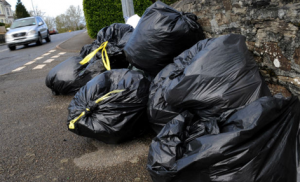 We can make your waste removal easier for you with our waste vehicles. We can load your waste fast and efficiently in all sorts of situations and areas that are difficult to unload and keep a skip. We do all the work unlike using a skip. You also pay a set rate for your skip even if you do not need to fill it. We charge for what we take away only! Are you looking for a Garden clearance? We can take away old broken toys, damaged sheds, old garden furniture, bbqs etc. We can dispose of it all for you! Do you need a house clearance? Old furniture, old carpets or a genral clear out. Look no further! Maybe you having a new bathroom or kitchen fitted? Why hire a skip if its not a great deal of waste? 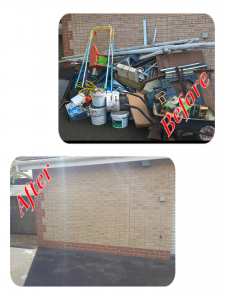 We only charge for waste cleared unlike a skip, you will pay even if its taken away half full.